We have just the recipe for you! 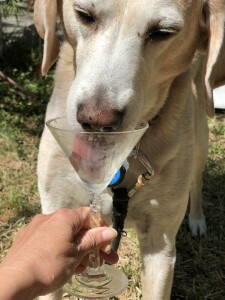 A KeiFURtini for dogs! Click here for the recipe! PrevBone Broth. Is It All Its Barked Up To Be?NextThe Pupper Colada For Dogs! You Can Totally Make This!